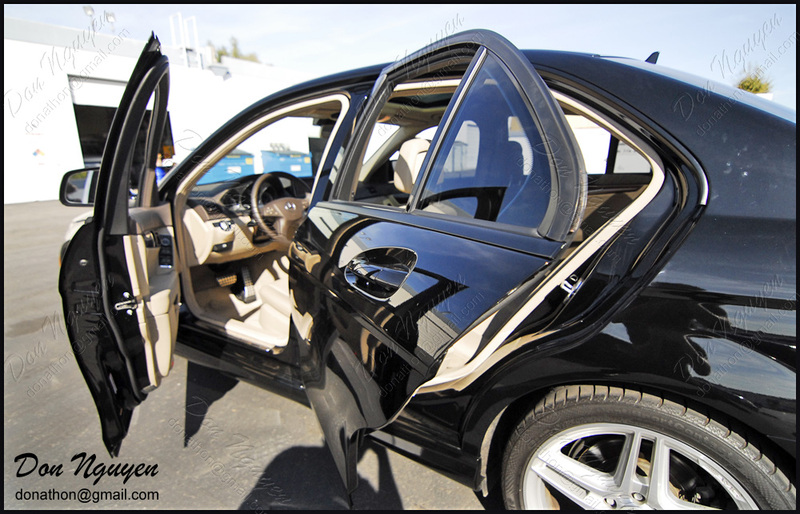 For this black Mercedes Benz C300 sedan, the owner wanted to have the chrome / brushed aluminum window trim blacked out to get rid of majority of the chrome that was still remaining on the car. We went with a matte black finish to still give the pieces being wrapped some contrast with the gloss black paint of the car. The owner of the car came out to me in Anaheim Hills / Orange County from around Torrance / Los Angeles area to have the vehicle wrap done. In addition to blacking out the chrome, I also lightly tinted / smoked the clear portions of the tail lights on the car.